We’re so excited to be able to post this finally! 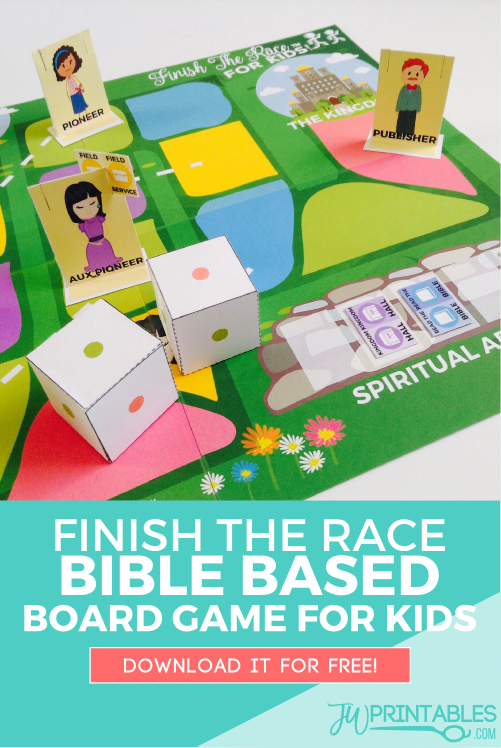 After a lot of planning, trial and error we’ve created this free printable bible-inspired game for kids ages 6-10 to play! The object of the game is to get every member of the congregation to Jehovah’s Kingdom without losing a single character to the “roaring lion” that is chasing them. It’s not limited to kids and adults can play along too. We had two adults and one 7 year old play together and it was still pretty fun for all players! 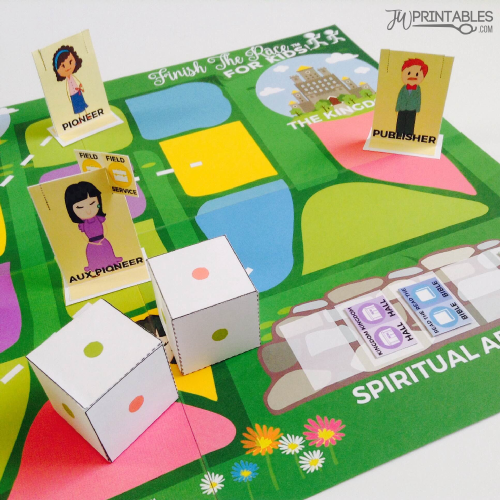 The game is inspired by the scripture at Zephaniah 3:9 and helps to teach young ones the importance of unity within the congregation and serving “shoulder to shoulder” among our spiritual brothers and sisters. The end goal for all of us is to finish the race to life together and leave no one behind. 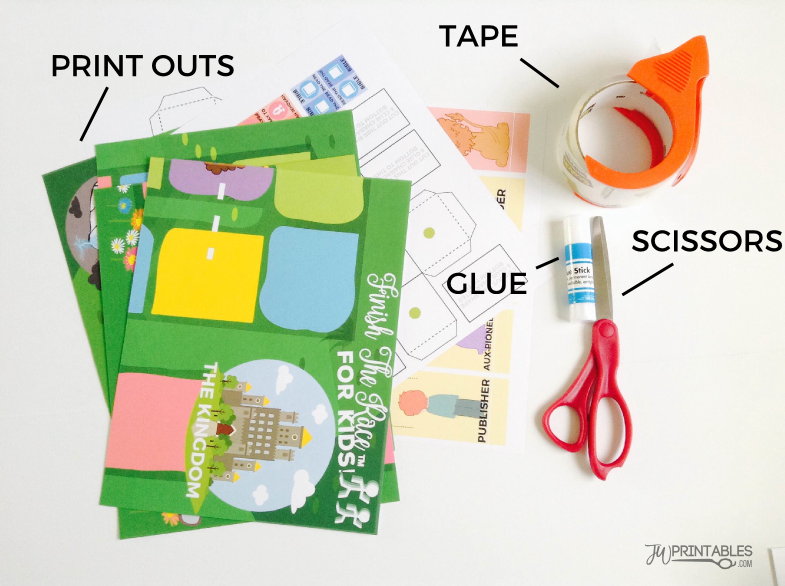 Included in this post are the free printable files and a visual DIY tutorial on how to assemble all the pieces together. 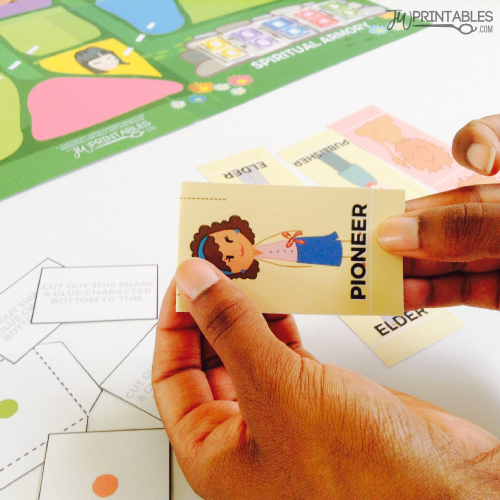 I recommend printing all of the items in this game on card-stock (thick paper) of any weight. It will make the game last longer and be more sturdy overall. Then, if your kids want to play the game again (our 7 year old wanted to play the game again immediately after we finished the first round) you can just pull it out and prop it up for them without worry of it falling apart. 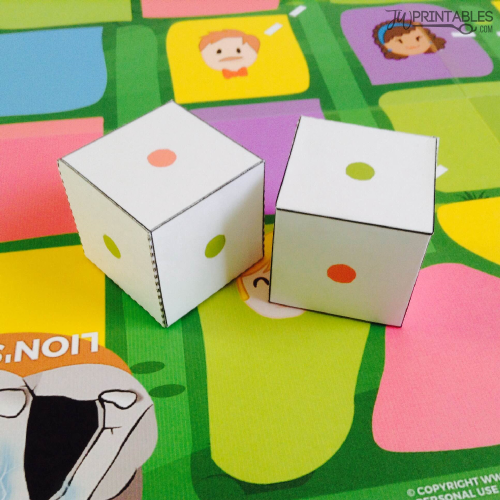 We hope you have a lot of fun playing this game with your little ones! We’d LOVE to see any videos or photos of you playing the game. 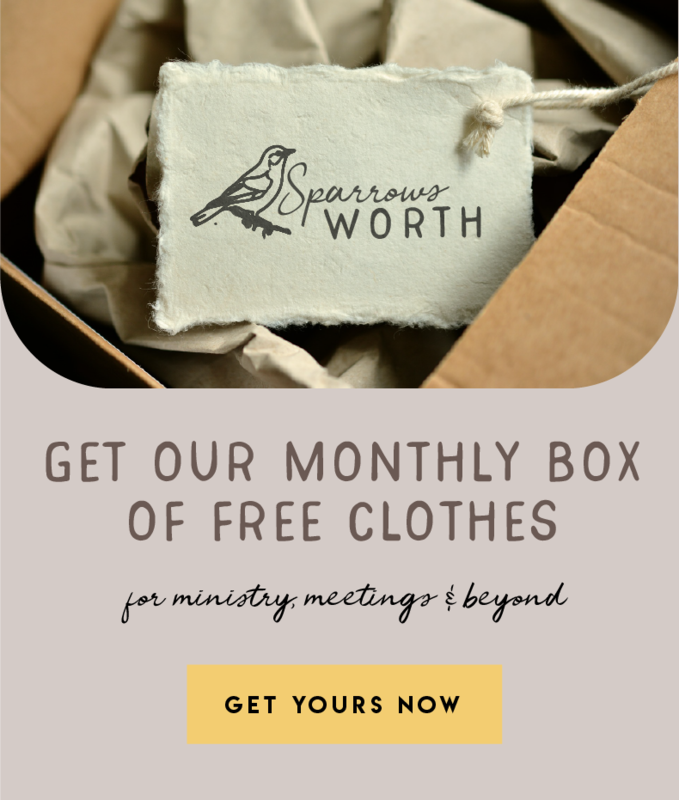 We worked super hard on this and are giving it away for free, so seeing how other brothers and sisters are using it would really bring us great delight! You can comment on this article to share your thoughts or tag us on Instagram @jwprintables with your photo or video! 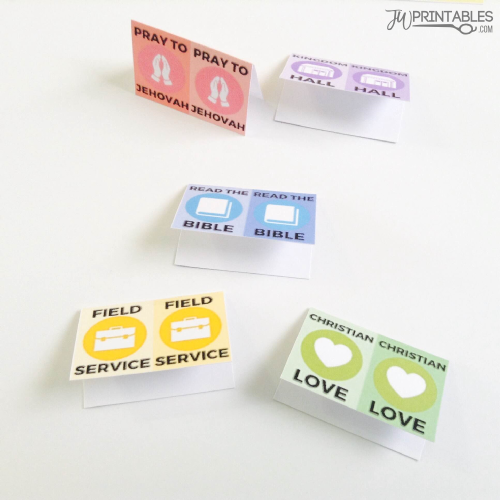 All in all you’ll have a total of 5 characters, 1 pair of dice, spiritual armory game pieces and 4 pieces of a fold-able game board that will measure 17 inches by 22 inches in width and length. 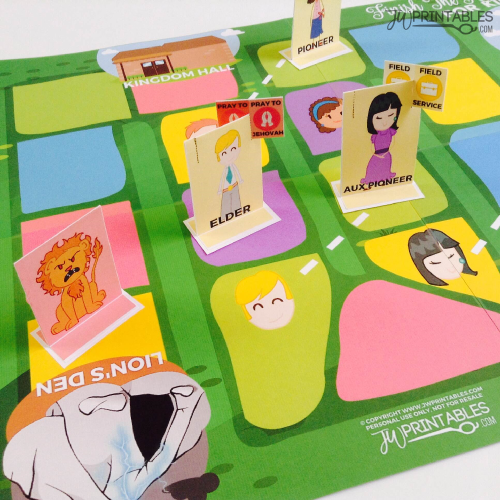 Please print every piece of this game on sturdy card stock (heavy paper) of 80lbs weight or more. Again, this will keep the game from being flimsy so you can reuse it! 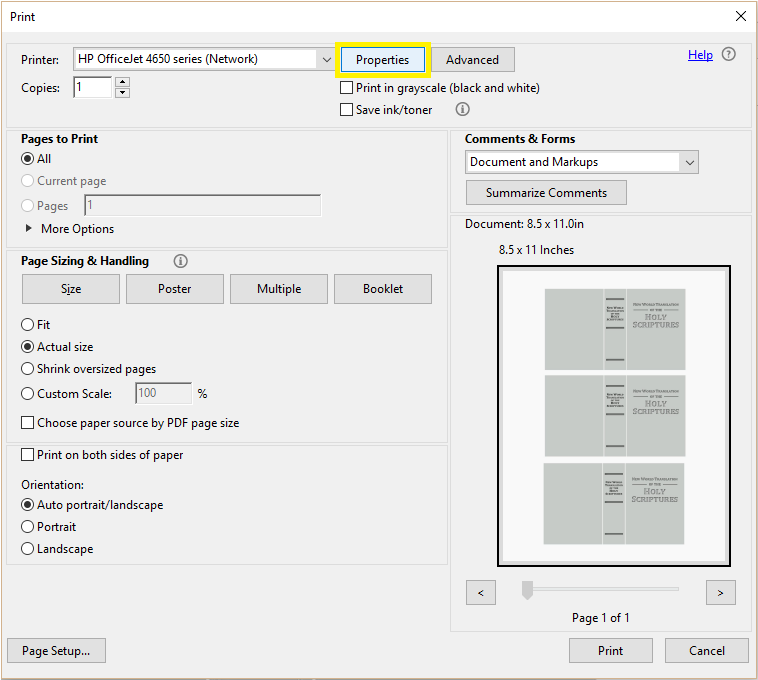 To print this game properly you’ll need a printer that allows you to print to the edge of the page so that the board will measure proportionately to the game pieces. 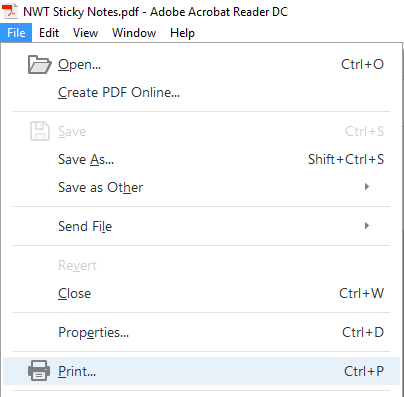 If you don’t print to the edge, or don’t have a printer that allows this you’ll have a white space all around the edge of the pages you print out. 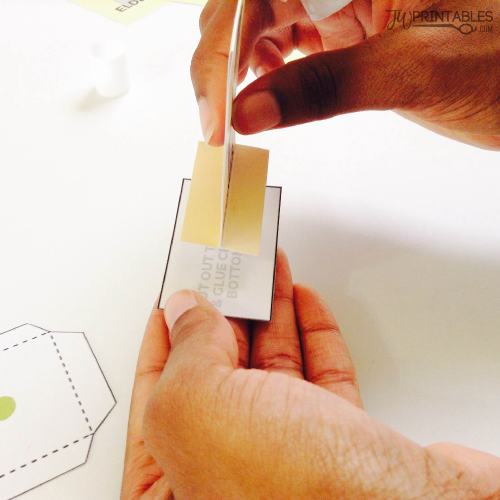 Assembling the game is pretty simple, just a bit of cutting and gluing! 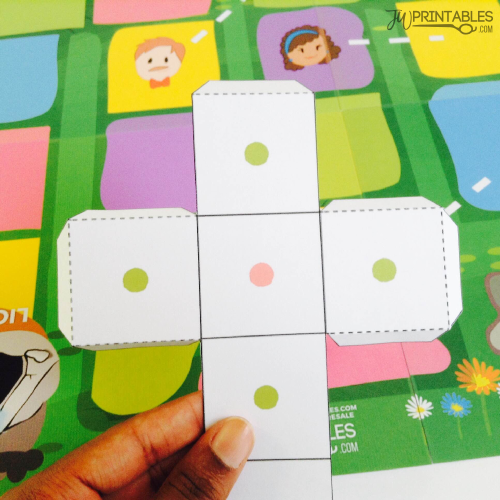 Follow the images below for complete instructions on how to assemble this game. Might make a cool arts & crafts activity putting it together as a family. 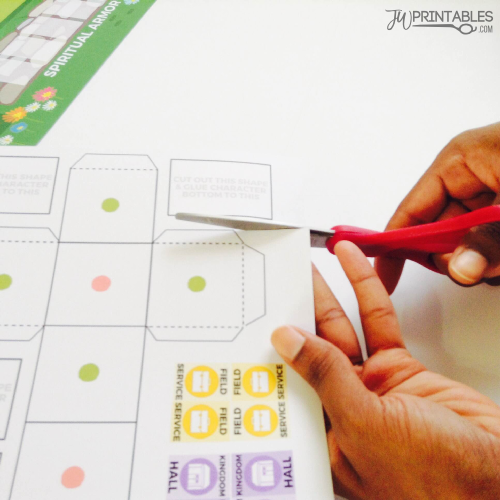 Line the individual pages of the board game up, to make sure that they align well and you know where they should fit together. 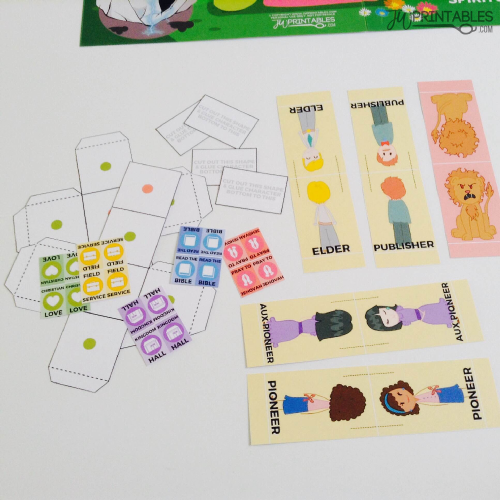 Then, flip them over and tape the edges that come together so that the board game doesn’t come apart and can be folded up when you aren’t playing. 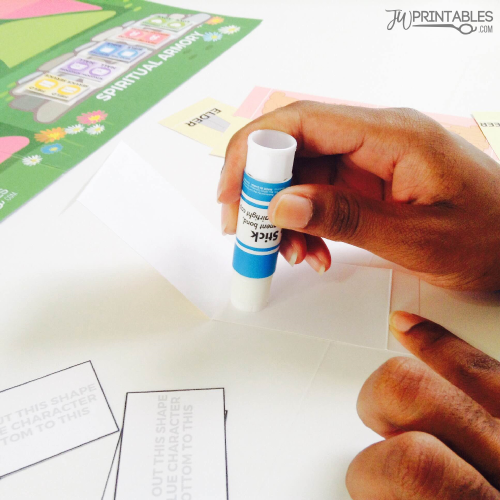 Be careful not to bump or move the pages while taping them together or you’ll have a game with gaps on the board. 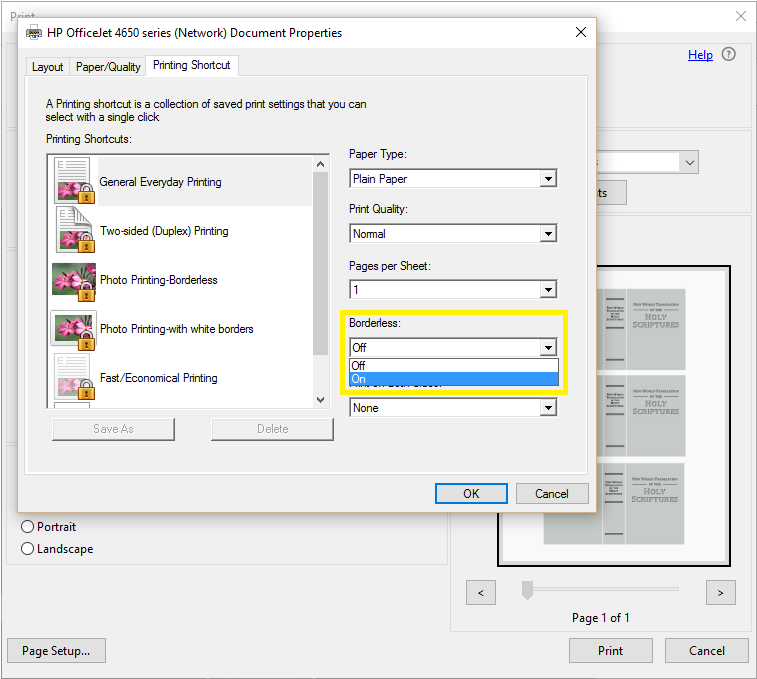 After you’re done the board should look something like the image above. Moving on to the other pages. 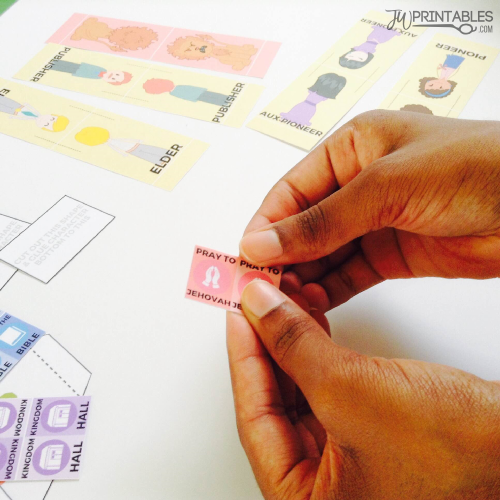 Start by cutting out each of the individual game pieces. It should take 10-15 minutes to accomplish this, even taking your time. After you’ve cut all the pieces out, this is what you’ll have before folding and gluing. The spiritual armory pieces are the easiest. 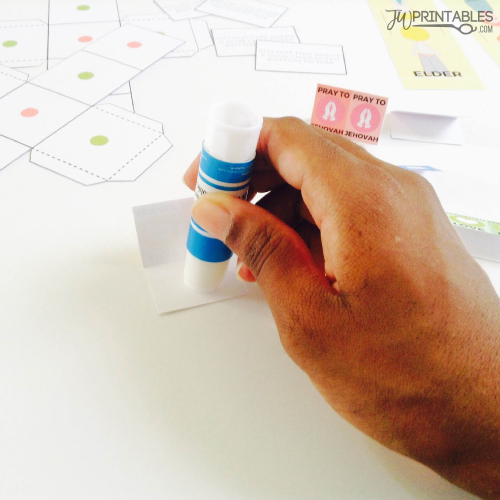 Simply fold them in half horizontally along the white line and glue the inside so that each game piece becomes double sided. The pictures below illustrate this more. 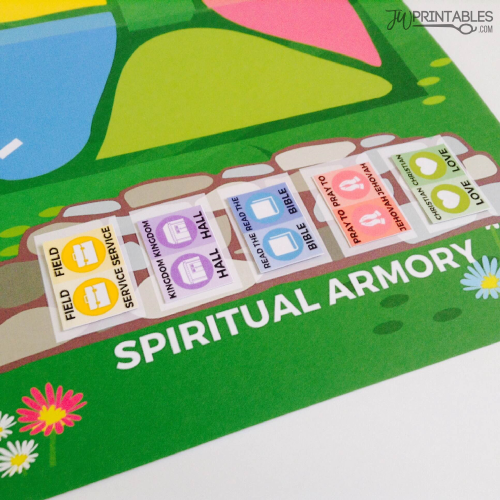 After they’re assembled, the pieces will fit in the the spiritual armory slots perfectly. Next move on to the character pieces which you’ll fold in much the same manner as the previous game pieces and glue in the middle. You’ll want to fold the bottom of the game pieces too (outward) so they have a “foot” to stand on as they move around the board. The images below explain more! When you’re done each character should look something like this! Make sure to cut a slit along the dotted lines also, being careful to stop where the dotted line ends. Your spiritual armory items will fit in this slot as the characters carry them along on their journey. Now we can move on to the final bit: the dice. Fold along all the lines (even the dotted ones) like I’m doing in the animated image below. 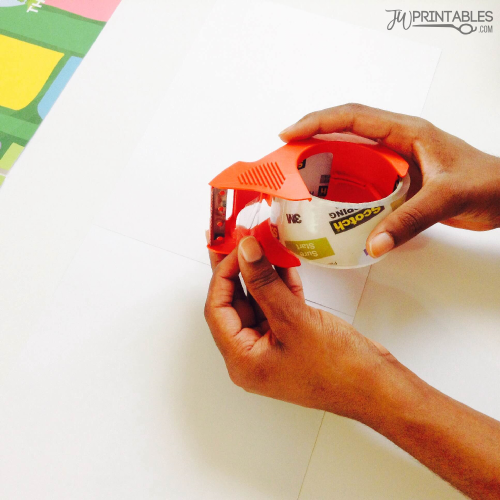 Place glue on the smaller folded tabs and use those tabs to form your cube! Repeat twice for both dice. 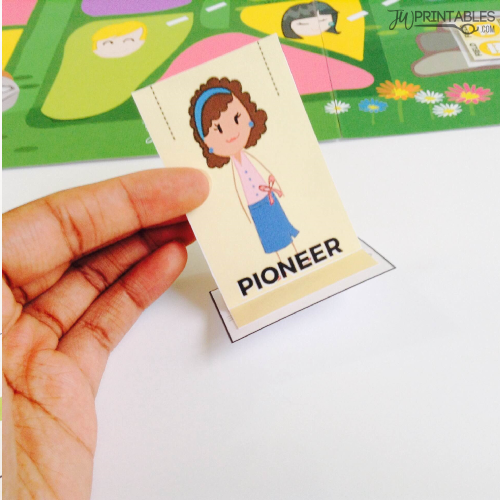 Don’t forget to tag us on Instagram @jwprintables if you assemble and play this game with your friends. We’d LOVE to see others enjoying our creation. Thanks! Lo siento, no hablamos español y al intentar traducir tu comentario no estaba muy claro. ¿Puede darnos un poco más de aclaración? ¡Gracias! 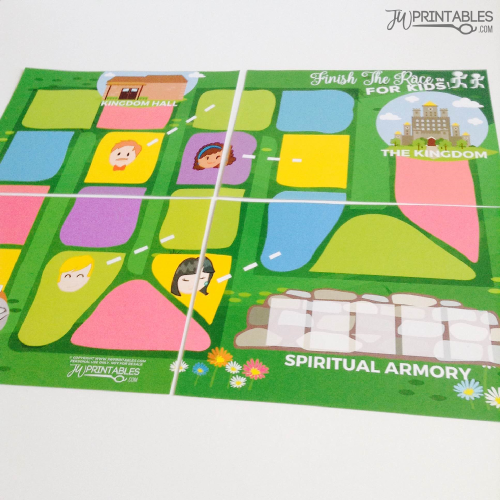 We really enjoyed playing this game last night for family worship. Thank you so much! All the children and adults were involved which allowed for a nice spiritual discussion and allowed us to encourage one another with scriptures. 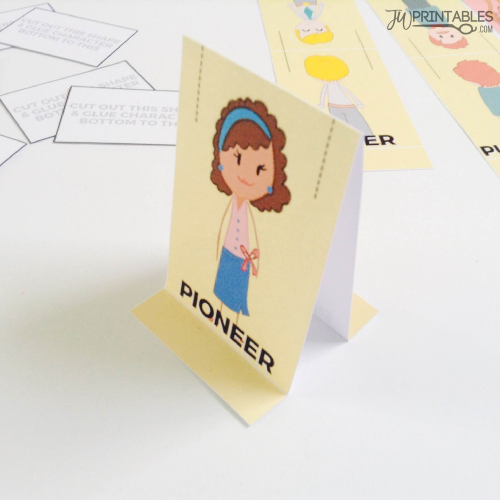 We printed this game and spent last night assembling it. We just got done playing it and I have to say thank you, thank you, thank you. My kids had a blast. It was fun for me as well and my husband who never plays board games even got involved and played with us. What I especially love is the flexibility, we found ways to make it easier to play with my younger child and harder ways for my older children. So fun and so great. Thank you for your hard work. You really helped our family worship come alive. The other reason I have to thank you is we are on the lower end of the pay scale so buying games was to much for us. You make yours available to the “rich and the poor”. You are touching peoples hearts so Thank you!